Check out our line of Fiberglass Entry Doors. No Door beats fiberglass doors for value and performance. 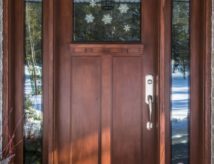 Beautifully crafted, energy efficient, secure, and easy to maintain, Composite entry doors are a durable alternative to wood or steel.